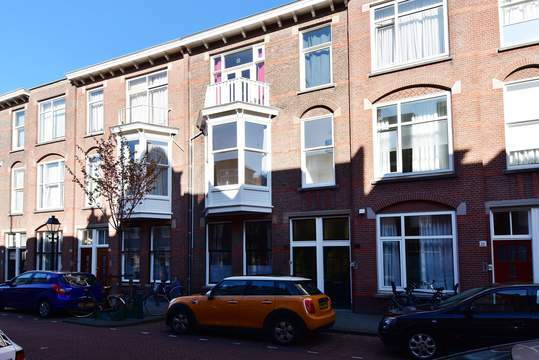 Situated in one of the most popular streets of Bezuidenhout (Around the corner from the Theresiastraat) you will find this well-kept, 80 m2, fully furnished 1-bedroom apartment featuring a lovely balcony facing east. Perfectly located near all shops for your daily groceries (Theresiastraat). Within a 10 minute cycle you will reach the city center of The Hague with all its restaurants, cafes and clubs. 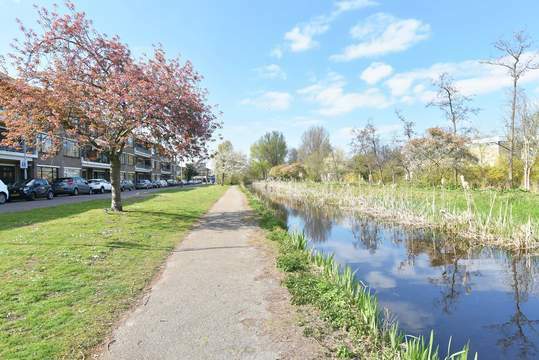 The property is close to freeway access and public transport and the beautiful part of het Haagse Bos is within walking distance. Scheveningen can also be reached within 15 minutes. Entrance on the first floor featuring 2 cupboards and a separate toilet. Lovely, spacious, living and dining room which can be separated with the original, beautiful stained-glass sliding doors. From the dining room you can access the balcony through double doors. Separate, well-appointed kitchen equipped with fridge and freezer, dishwasher, combi oven and microwave, gas stovetop and extractor hood. The balcony can also be accessed through the kitchen. The apartment features the master bedroom located at the front of the property, dressingroom at the back with bathroom with shower, sink and radiator.